Aberporth Rowing Club is situated on the beautiful coast line of West Wales. 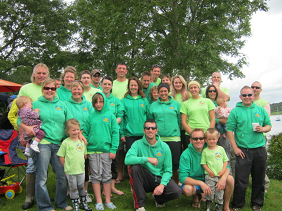 We are a Celtic longboat rowing club affiliated to the Welsh Sea Rowing Association (WSRA). Aberporth has had lots of teams in the past but was re-established in 2009 and now competes all over Wales and in occasional events in England, Ireland and Europe. Celtic longboats are four person rowing boats with fixed seats and a cox. We currently own 3 longboats – Dolwen, Tilly Whim and Dyffryn. Join our facebook group at https://www.facebook.com/groups/116938832349/.